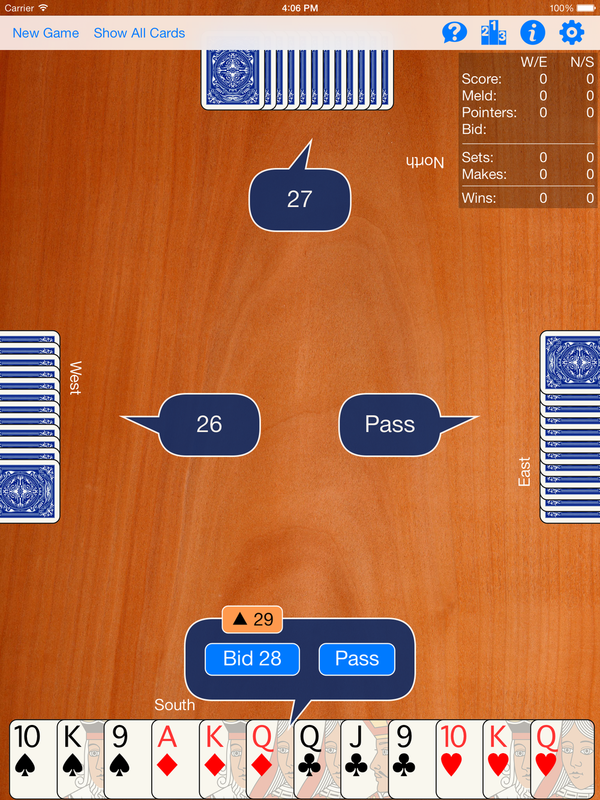 This is the first and most popular pinochle app written for iPhone, iPad, iPod touch and Mac. 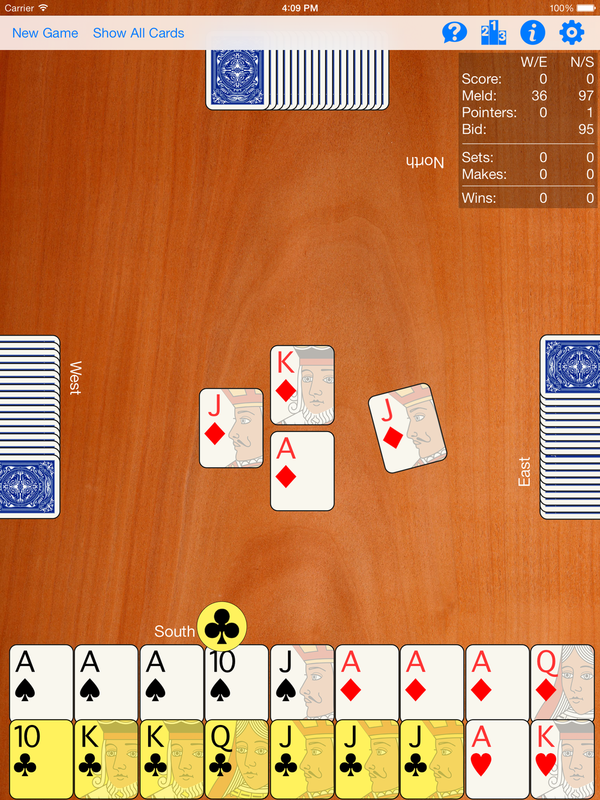 Pinochle is a card game played with a deck of 9s, 10s, jacks, queens, kings and aces. The game consists of a repeating sequence of bidding (for the right to name the trump suit and to pass cards), melding, and trick-taking. Players score points by melding various card combinations and by taking tricks. In this version, choose either single-deck (48 cards) or double-deck (80 cards), and adjust the rules to play the game as you're familiar with it.